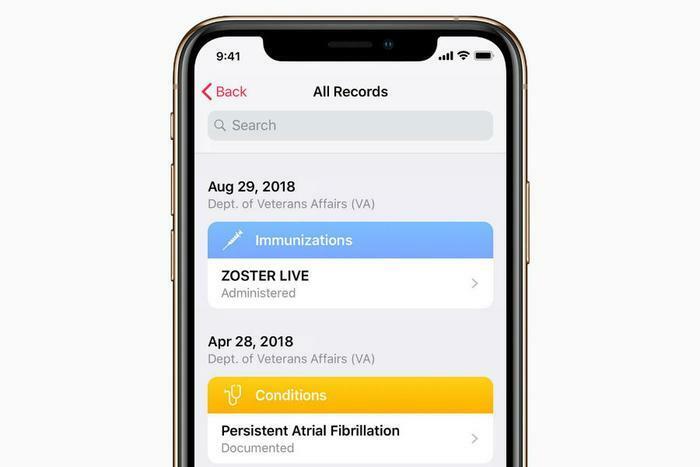 Apple has partnered with the Department of Veterans Affairs to enable veterans to see their medical records -- including allergies, known conditions, medications, procedures, and more -- on the iPhone Health Records app. The tech giant said the new feature for veterans is coming “soon,” but it didn’t say if the access would come by way of an iOS update. Last March, Apple announced that iPhone users at more than 100 hospitals and clinics across the country would be able to access parts of their medical records through the Health app. In November, the Wall Street Journal reported that Apple may be aiming to allow patients to share their health information with other health apps. Earlier this year, Apple CEO Tim Cook said health will likely be the company’s greatest contribution to mankind. “If you zoom out into the future, and you look back, and you ask the question, ‘What was Apple’s greatest contribution to mankind?’ It will be about health,” Cook said in an interview with CNBC’s Jim Cramer. “We’re excited to bring this feature to veterans across the US,” said Kevin Lynch, Apple’s vice president of Technology.